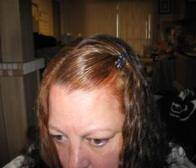 After I found out I was a diabetic(type2) I decided to use a chemical hair dye to color my hair. 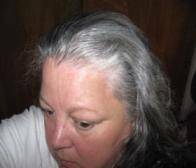 To my dismay my hair started falling out at an alarming rate. It turns out it was a chemical reaction with the hair dye and the medications I have to take. I came to the realization that I would never be able to color my hair again and so made peace with the grey that adorned my head. I tried henna to dye my hair when I was in my teens, and knew that it was natural and would not harm my hair. I couldn’t be happier with the results and highly recommend it to those who have to take medications to control thier diabetes. Thank-you so very much Infinite Earth. Your product gave me back a part of me I thought i had lost.